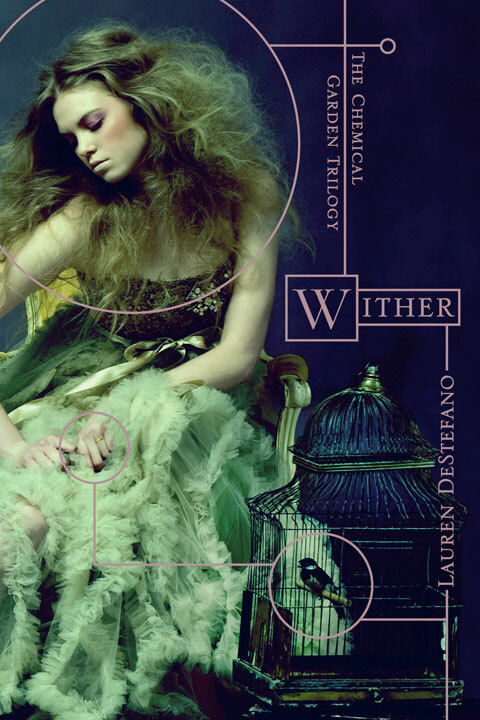 Wither by Lauren DeStefano – March 22, 2011 – What if you knew exactly when you would die? Thanks to modern science, every human being has become a ticking genetic time bomb—males only live to age twenty-five, and females only live to age twenty. In this bleak landscape, young girls are kidnapped and forced into polygamous marriages to keep the population from dying out. When sixteen-year-old Rhine Ellery is taken by the Gatherers to become a bride, she enters a world of wealth and privilege. Despite her husband Linden’s genuine love for her, and a tenuous trust among her sister wives, Rhine has one purpose: to escape—to find her twin brother and go home. But Rhine has more to contend with than losing her freedom. Linden’s eccentric father is bent on finding an antidote to the genetic virus that is getting closer to taking his son, even if it means collecting corpses in order to test his experiments. With the help of Gabriel, a servant Rhine is growing dangerously attracted to, Rhine attempts to break free, in the limted time she has left. *This one’s not supposed to be out until next week, but my Borders miraculously had them in stock yesterday. Totally picked a copy up, and let me tell you, the cover is even more gorgeous in person! 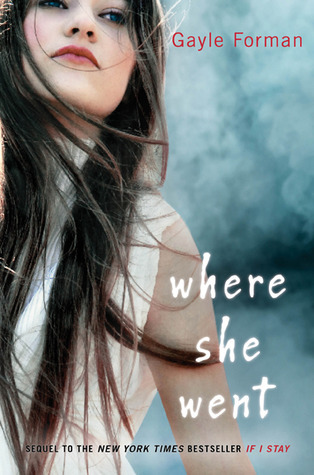 Where She Went by Gayle Forman – April 5, 2011 – It’s been three years since the devastating accident … three years since Mia walked out of Adam’s life forever. Now living on opposite coasts, Mia is Julliard’s rising star and Adam is LA tabloid fodder, thanks to his new rock star status and celebrity girlfriend. When Adam gets stuck in New York by himself, chance brings the couple together again, for one last night. As they explore the city that has become Mia’s home, Adam and Mia revisit the past and open their hearts to the future – and each other. *So excited to have won this one from Kiersten White’s blog contest. Cannot wait to get it in the mail. I plan to give it away when I’m done reading (unless I sob all over it!) so look for a contest on this blog coming soon. 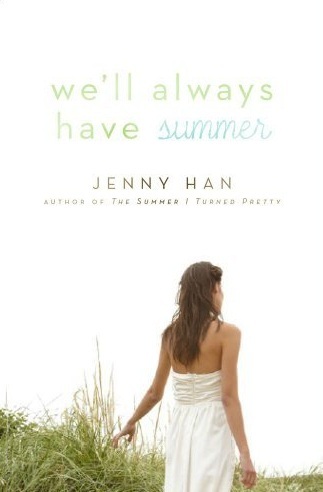 We’ll Always Have Summer by Jenny Han – April 26, 2011 – It’s been two years since Conrad told Belly to go with Jeremiah. She and Jeremiah have been inseparable ever since, even attending the same college– only, their relationship hasn’t exactly been the happily ever after Belly had hoped it would be. And when Jeremiah makes the worst mistake a boy can make, Belly is forced to question what she thought was true love. Does she really have a future with Jeremiah? Has she ever gotten over Conrad? It’s time for Belly to decide, once and for all, who has her heart forever. 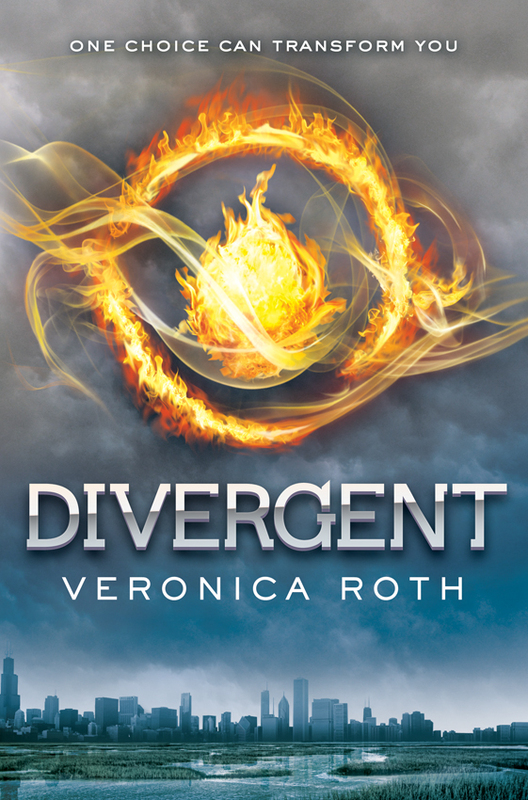 Divergent by Veronica Roth – May 3, 2011 – In Beatrice Prior’s dystopian Chicago, society is divided into five factions, each dedicated to the cultivation of a particular virtue—Candor (the honest), Abnegation (the selfless), Dauntless (the brave), Amity (the peaceful), and Erudite (the intelligent). On an appointed day of every year, all sixteen-year-olds must select the faction to which they will devote the rest of their lives. For Beatrice, the decision is between staying with her family and being who she really is—she can’t have both. So she makes a choice that surprises everyone, including herself. During the highly competitive initiation that follows, Beatrice renames herself Tris and struggles to determine who her friends really are—and where, exactly, a romance with a sometimes fascinating, sometimes infuriating boy fits into the life she’s chosen. But Tris also has a secret, one she’s kept hidden from everyone because she’s been warned it can mean death. And as she discovers a growing conflict that threatens to unravel her seemingly perfect society, she also learns that her secret might help her save those she loves . . . or it might destroy her. Awaken by Katie Kacvinsky – May 23, 2011 – Maddie lives in a world where everything is done on the computer. Whether it’s to go to school or on a date, people don’t venture out of their home. There’s really no need. For the most part, Maddie’s okay with the solitary, digital life—until she meets Justin. Justin likes being with people. He enjoys the physical closeness of face-to-face interactions. People aren’t meant to be alone, he tells her. Suddenly, Maddie feels something awakening inside her—a feeling that maybe there is a different, better way to live. But with society and her parents telling her otherwise, Maddie is going to have to learn to stand up for herself if she wants to change the path her life is taking. In this not-so-brave new world, two young people struggle to carve out their own space. 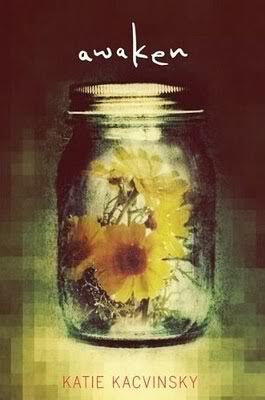 What Spring 2011 titles have you itching to get to the bookstore? Yes, I’ll definitely be looking for your giveaway! I just recently heard about AWAKEN and the concept sounds so interesting. Plus, I love the simplicity of the cover. Hopefully the book will live up to it! Congrats on winning WHERE SHE WENT! I loved it. I can’t wait for DIVERGENT, too. Thanks, Rebecca! Can’t wait to read it! I’m willing to skip over April to read DIVERGENT, and that’s saying a lot since I’d be missing my birthday. I loved IF I STAY, so I can’t wait to read WHERE SHE WENT. I’m kind of scared, though, because I loved how IF I STAY ended so much that I don’t want anything to ruin it. Agreed… Sequels in general make me very nervous, but I have full faith in Gayle Forman. I’ve heard amazing things about WHERE SHE WENT. Wither sounds interesting and I adore the cover so that’s been on my TBR list, and now I’ve added If I Stay and The Summer I Turned Pretty because the sequels sound good haha. Yes, definitely read IF I STAY and THE SUMMER I TURNED PRETTY now so you can read the sequels when they come out. You’ll want to–trust me! Those are some of my favorite contemporaries. Thanks, Sophia! Awaken sounds beautiful–hadn’t heard of it before, but I’ll be looking forward to your review of it when it comes! I’m dying (dying, I tell you) for Where She Went, and I blame you for this, as I’m pretty sure you’re the one I’m blaming for putting me onto If I Stay. Man, do I ever want to know how that ends. I’ve heard so much about Divergent, looking forward to that as well! I am DYING to read Where She Went. I can hardly handle it. I’m seriously counting down the days until that one comes out.